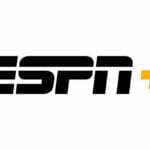 ESPN+ is continuing their roll-out of original series with the announcement of two new boxing series; In This Corner and The Boxing Beat with Dan Rafael. 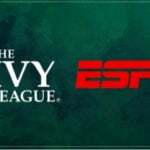 Twice-monthly deep-dive talk show with a rotating panel of four of boxing’s best journalists gathering at noteworthy New York City establishments to discuss boxing’s biggest stories, past, present and future. The premiere brings fans to New York’s Crompton Ale House, just six blocks from Madison Square Garden, to preview Saturday’s big Top Rank Boxing on ESPN fight between Vasiliy Lomachenko and Jorge Linares, as well the potential rematch between Gennady Gennadyevich Golovkin (aka Triple G) and Saul Canelo Alvarez. Mike Coppinger of Ring Magazine. 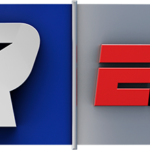 Features ESPN’s lead boxing writer Dan Rafael providing an inside perspective of boxing through conversations with top fighters, as well as breaking news, commentary and questions from boxing fans. The Boxing Beat will debut with Keith Idec of Boxingscene.com and WBC featherweight champion Gary Russell, Jr. It offers fans thousands of additional live events, on-demand content and original programming not available on ESPN’s linear TV or digital networks.